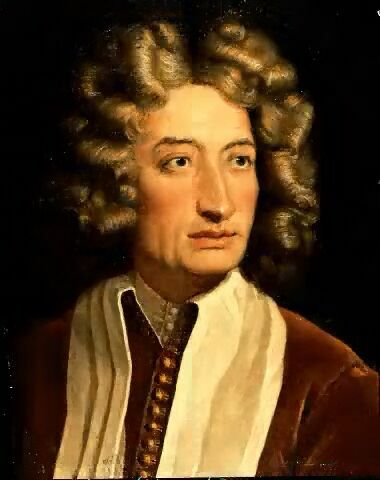 Little is known about the early life of Corelli who was brought up in the province of Ravenna. He was educated as a musician and, from an early age, was famed for his skill as a violinist. His style of playing and writing was very influential both on his contemporaries and his successors. J. S. bach studied his works and used one of his melodic ideas in an organ fugue. Corelli is however curiously conservative in his own compositions for violin, rarely using the instrument's top register. As a young man he traveled throughout Europe, staying in Paris and Germany where his reputation developed. However, it was in Rome where he enjoyed his greatest success and patronage, and where is his greatest works were written. The Christmas concerto was commissioned by Cardinal Pietro Ottoboni, one of his influential patrons, and was completed around 1690. The manuscript bears the words "Fatto per la notte di Natale" (written for Christmas night). It was not published until the year after Corelli's death when it appeared as one of a set of twelve concertos. The baroque concerto grosso normally featured a small group of solo instruments (the concertino) contrasted with a larger string orchestra (the ripieno) with an accompanying harpsichord (the continuo). Typically the solo group consisted of two violins and cello. Concertos of the time fell into two categories: concerti da camera (chamber concertos) and concerti da chiesa (church concertos). The latter class were usually more contrapuntal in nature. The Christmas concerto is of the second category, and it is unusual having six movements and concluding with a pastorale. It is a lively energetic work, full of melodic invention, and has remained one of his most popular works. Corelli was so successful in his life time that he amassed a fortune of 120,000 marks, along with a fine collection of artworks. He is buried in the Pantheon in Rome.